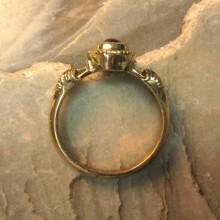 brass ring with the circle in the form of two lions. Europe 1250 - 1300. 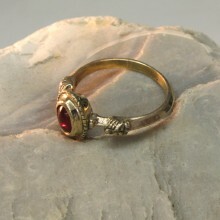 The gemstone, glass paste, is in imitation of a ruby. The dimention of the bezel is are 13 x 10 mm.